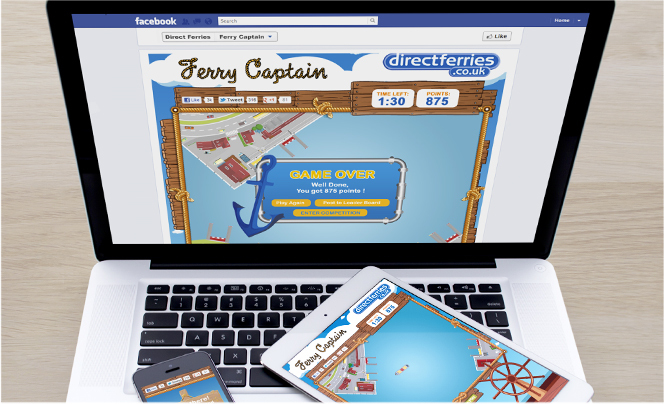 Direct Ferries wanted us to drive engagement and brand awareness of the Direct Ferries brand through the power of Social Media. 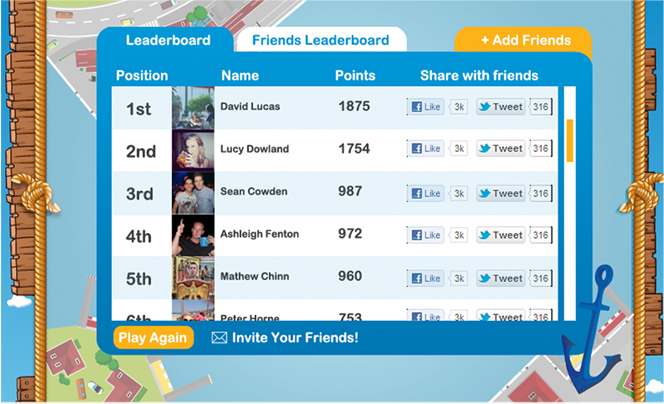 We produced a fun and engaging game that encourages visitors to steer themselves to the top of our leaderboard. If your score isn't quite high enough, you'll get given a chance to enter a lucky dip questionnaire to have another chance of winning £50 worth of vouchers. 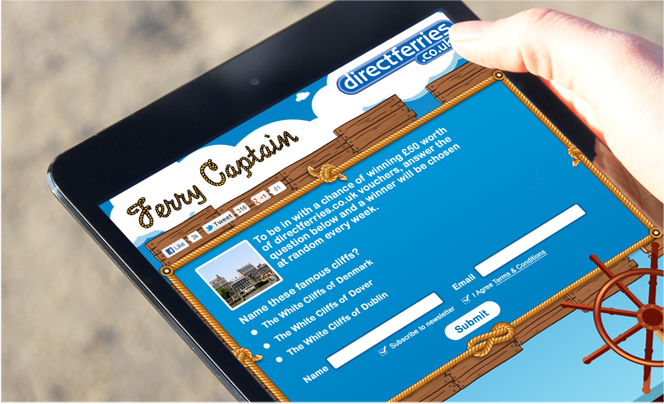 Vouchers can be put towards a ferry ticket at Directferries.co.uk. 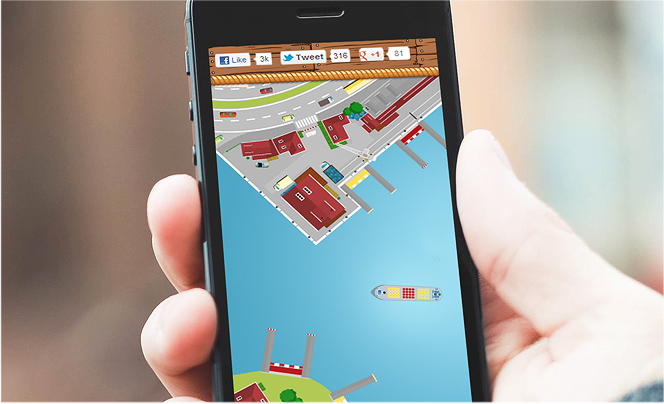 The game was built with fun in mind, simply enter yourself or challenge a friend for a chance to win.